← For I have got… Another poll! 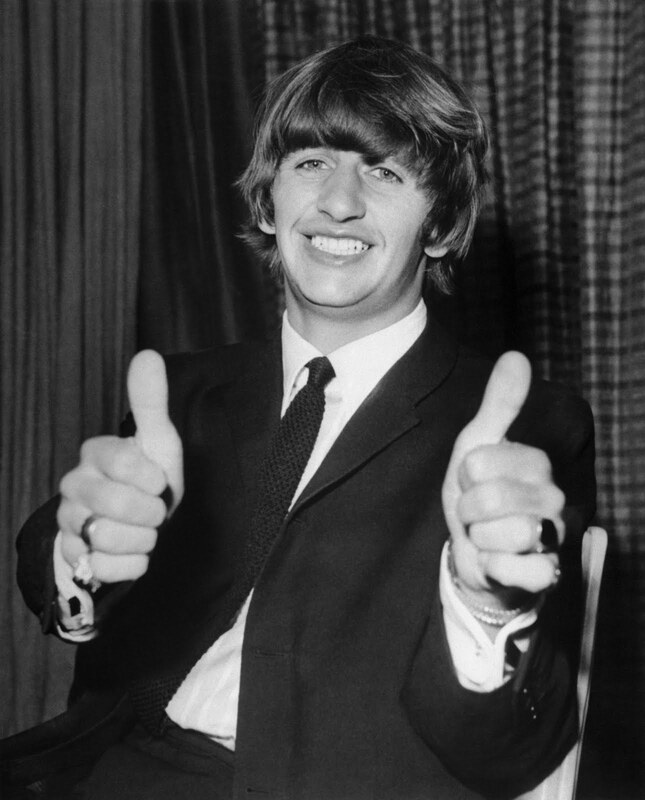 Today is the 73rd birthday of the wonderful and talented Ringo Starr! Happy birthday Ringo!!! He was an integral part of the Beatles’ sound and his fantastic drumming and upbeat spirit were certainly defining characteristics of the Beatles. Nothing against Pete Best, but for me, it’s definitely “Pete never, Ringo forever!” 🙂 I also love how throughout his life, he’s always gotten along well with the other Beatles, and seemingly with everybody else as well. I mean, who doesn’t love Ringo??? I have yet to see Ringo in concert with the All Starr Band, but the next time they come my way, I will be try my best to be there! Then I can say that I’ve seen two Beatles live in my lifetime, which is basically my entire bucket list. I’ll keep my fingers crossed! I know that I’ve done countdowns for my favorite John, Paul, and George solo songs in addition to my favorite Beatles songs, and I haven’t done anything like that for Ringo yet. I admit that I’m not very familiar with the large majority of his solo catalog, so instead I’ll just post a few songs of his that I know and love. Here we go! This is one of Ringo’s most famous songs, written with a little help from his friend, George Harrison! Just a great song in general with a fantastic guitar riff. I sing this to myself quite a lot. This song was also co-written by George and Ringo, and it’s so good that it makes me wish George and Ringo did more songwriting together. I don’t know of any Harrison/Starr songwriting credits from the Beatle days, although George helped him a lot with “Octopus’s Garden”. Still, this is a beautiful song. This is a really fun song, and I love the guitar riff! A fantastic song from one of Ringo’s more recent albums, “Y Not”, that he sings with Paul. Gosh, I love Paul and Ringo singing together! I need more of that Beatle magic in today’s music! A really funny song written by John Lennon that probably only Ringo could pull off singing. He really is the greatest! I get emotional and cry every time I hear this song. It was written after George died and features Eric Clapton on lead guitar. I think that Ringo, while he may not have been the most prolific songwriter in the Beatles, definitely has a knack for writing nostalgic, sentimental songs that truly touch the heart. Well, there you have it. A selection of Ringo songs to celebrate his birthday! Once again, happy birthday Ringo!!! I love you!!! I like Ringo too, that guy needs more love. Without him, The Beatles would not be as interesting as it is.